We’ve had cars nagging us for so many years now that we’ve become virtually immune to their strident demands. But seat belt warning buzzers and door-open chimes seem so quaintly 20th century in the face of the brave new world Volvo has wrought with their all new 21st century S60. If you order a base model S60 T6, you’ll pay $37,700 for a comfortable, stylish and competent GT car with lots of solid virtues, like a 300hp turbocharged engine, all-wheel-drive, and plenty of room for 4, or 5 in a pinch. The trunk is large, the rear seats fold flat to convert the S60 into a mini-wagon, and the level of fit and finish in the cabin is Swedish fastidious. However, if you decide to tack on the Premium, Technology and Climate Package ($4,400 extra), you’ll saddle yourself with a full slate of features, some much better than others. The useful upgrades include a moonroof, power passenger seat, seat heaters, and Bi-Xenon gas discharge headlights that turn when you corner. There’s even a pedestrian avoidance device that brakes the car automatically when you don’t react fast enough on your own. The radar cruise control can be useful once you’ve memorized the 14 (!) pages in the owner’s manual devoted to its complex operation. But items like Lane Departure Warning will drive you nuts in short order. Do you really need a binging chime to alert you to the fact that you’ve just changed lanes without signaling? How about a Driver Alert System that monitors your performance as a driver and chides you when it estimates you’ve done something untoward? A visual warning appears in the center of the tachometer informing you of a “Driver Alert -Time For a Break.” In case you didn’t get the written memo, there’s a pictograph of a coffee cup steaming just above the message line. The basic S60 is such a sound and thoughtful piece of equipment that it doesn’t need gilding by nanny. In fact, a pair of K-Pax sponsored S60 AWD sedans, in the capable hands of drivers Randy Pobst and Andy Pilgrim, just swept the championship GT title in the SCCA’s tough World Challenge series by besting a field of Porsches, Corvettes and Vipers. 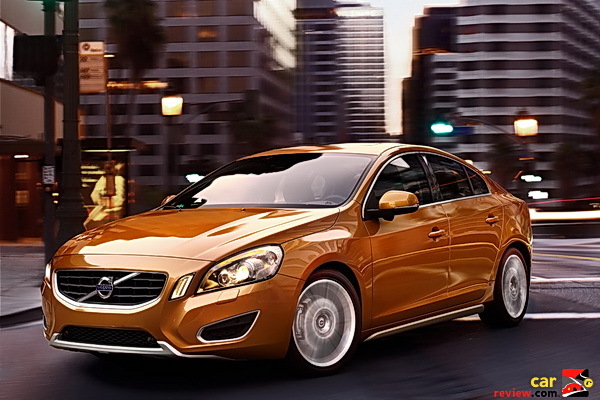 Although the S60 has a lot of potential as a sporting sedan. Volvo has yet to follow through on making the street car they sell as responsive or quick as it could be. For example, the 6-speed automatic gearbox can be shifted via a stick on the console between the seats, but mysteriously there are no steering wheel paddles to perform these operations, nor any rev-matching capabilities available for downshifts. At each corner of the sedan, you’ll find an 18 inch alloy wheel with a 235/40R18 Continental ContiContact tire. The Continentals are somewhat undersized considering the S60’s considerable curb weight of 3,800 pounds. Upgrades in shifting and tire contact patches would bump the S60 into the Porsche, Corvette, BMW performance class where it otherwise seems to belong. Certainly the potential is there. Just ask Randy Pobst or Andy Pilgrim.